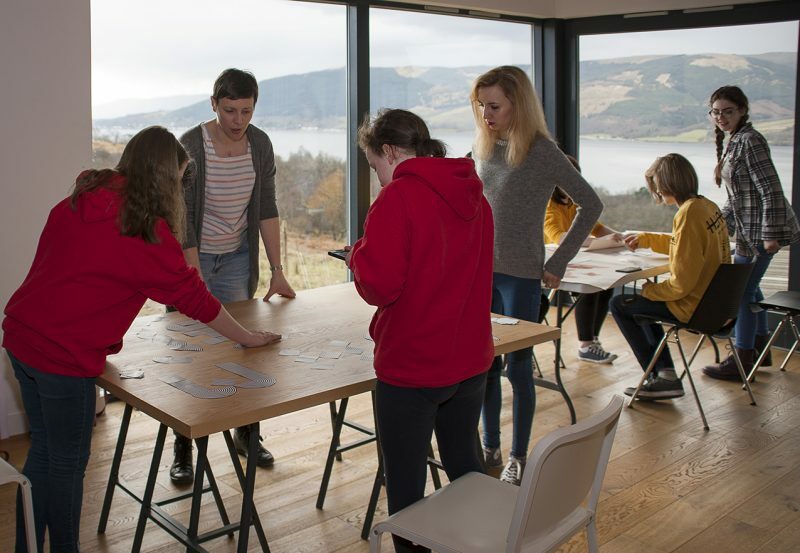 Cove Park is an international arts organisation situated on the west coast of Scotland dedicated to the creative and professional development of artists working across all art forms. As such we have access to a wide community of UK and international professional artists who deliver all of our workshops and National Saturday Club sessions. 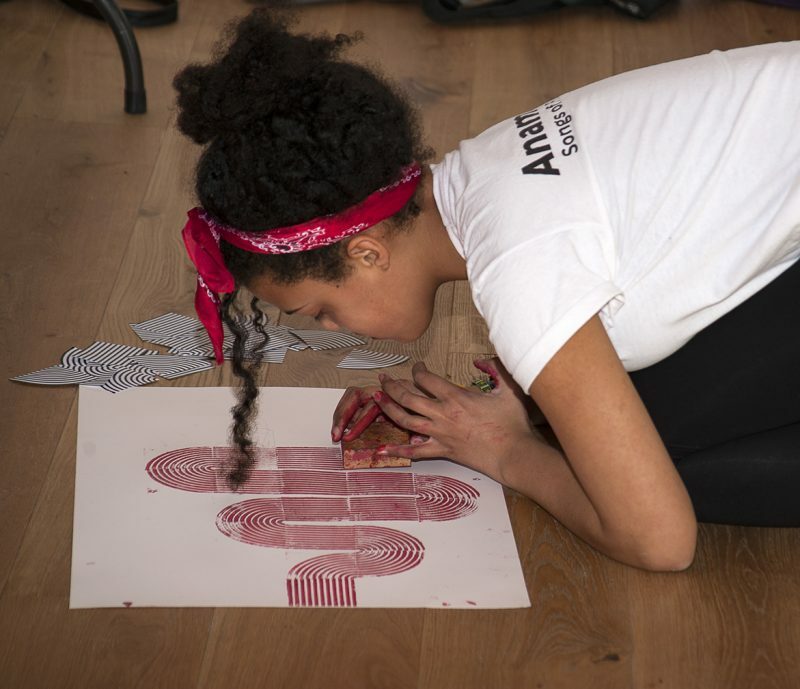 Our free National Saturday Club sessions run once a month, each full day workshop is led by a professional artist with support from our arts assistants. Every session is unique as they are delivered by a different professional artist each time who will introduce the group to a new topic / technique or idea. 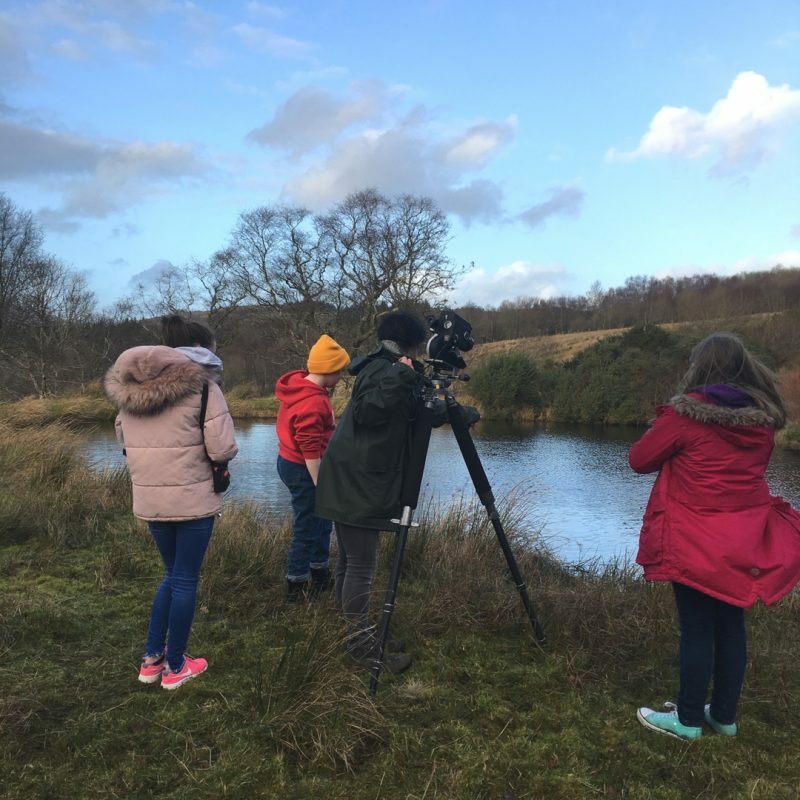 In 2018 – 2019 sessions will include filmmaking, photography, printmaking, design, painting and much more. 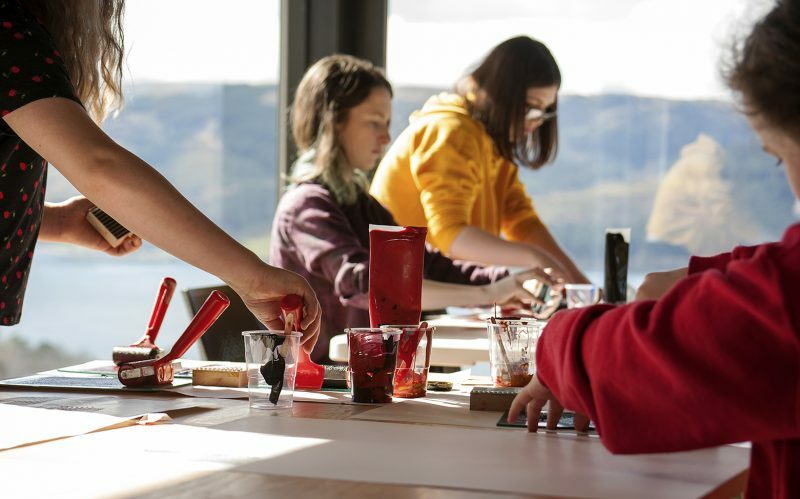 By attending these one-off workshops participants will have the chance to experience a wide range of creative practices while being inspired by our carefully selected professional artists. 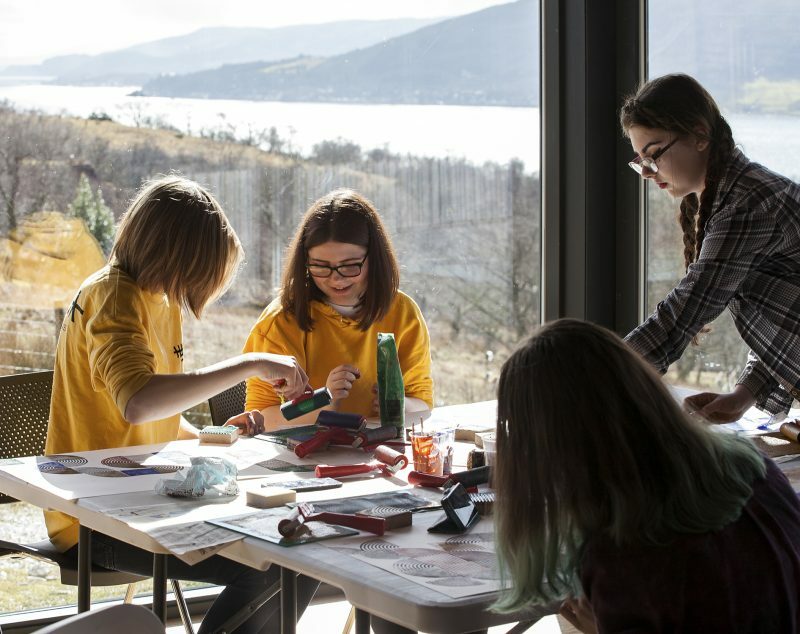 Cove Park’s National Saturday Club sessions take place within our Artist Centre, a new facility set in a stunning location on the Rosneath Peninsula. 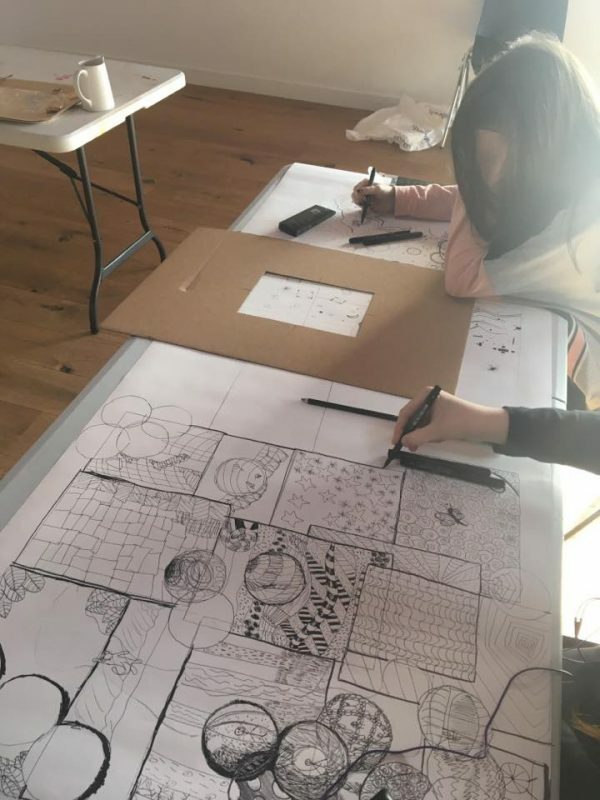 These immersive and often experimental workshops are designed to give attendees an insight into how professional artists create their work and develop the ideas and techniques that they use in their professional life. 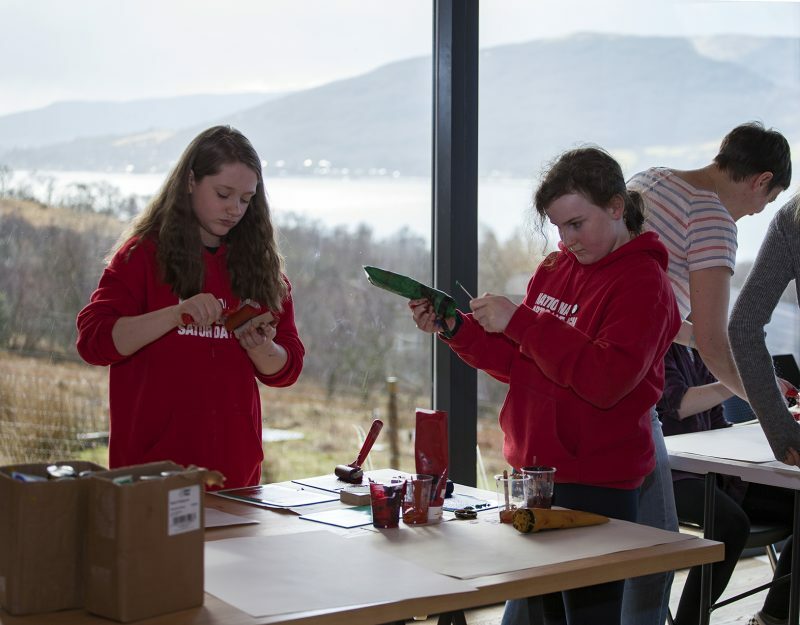 They offer an unrivalled chance for young people to learn from some of the most exciting and talented artists in the UK. This gives them the chance to experience a range of practices while learning about possible career opportunities they may not have explored before. Club members will have two chances to exhibit their work along side other National Saturday Club members at both a pop-up self-portrait exhibition in London and the hugely anticipated Summer Show, where their work will be professionally displayed in Somerset House, London. Thank you for your interest in this Saturday Club. You must be aged 16 or over to send us your email address to request information about a Club. If you are aged under 16, please ask your parent or guardian to fill in the form on your behalf. When you request information about this Club, we will pass on your details to the Saturday Club organiser at Cove Park and retain a copy of the request.